The lack of actual prayer instruction - building an effectual prayer relationship with God - in seminaries today is astonishing, if not non-existent. A seminary student recently described his prayer life as being "Wrestling, agonizing, sweating, working, asking, fulfilling a duty and, along with trying to build comfort and hope, both confusing and frustrating" On top of this, there has been hardly any teaching on the Holy Spirit (gifts) in seminaries or bible colleges in decades. Is it really any wonder then, why our churches are so dried up today? With 'Pastors' being graduated that have no idea how to pray or build a relationship with God, coupled with an extremely basic relationship with the Holy Spirit (salvation only?) it is no wonder why my mother, Julia Chandler, in her last book, "You Shall Receive Power" referred to seminaries as 'cemeteries' or why a senior minister of 45 years, after my prodigal return, baptism in the Holy Spirit and subsequent use by God to heal - advised me NOT to go to bible college saying, "They would ruin everything you have going with God"
A few months ago, during a Sunday service attended by hundreds at a mega-church, I actually heard an associate Pastor say, "Some people say or think that they are anointed, when really they're just annoying" It is incredibly ignorant (if not borderline blasphemous) comments like this, made to dedicated followers that depend on the word of the Pastor for the TRUTH, that further adds to the growing amount of horrid teaching, preaching and 'baby food' mentality regarding the Holy Spirit (Baptism) in today's church. Does God need us to heal the sick or deliver demons from the afflicted? Absolutely not! But it pleases Him so much when we even try He will do the work through us! That we would have the faith strong enough to step out and take action on His part gives God a thrill! He gives us the tools (the 'keys' of Matthew 16:19) and the power to act on His behalf in the Holy Spirit. A 'power of attorney' if you will. 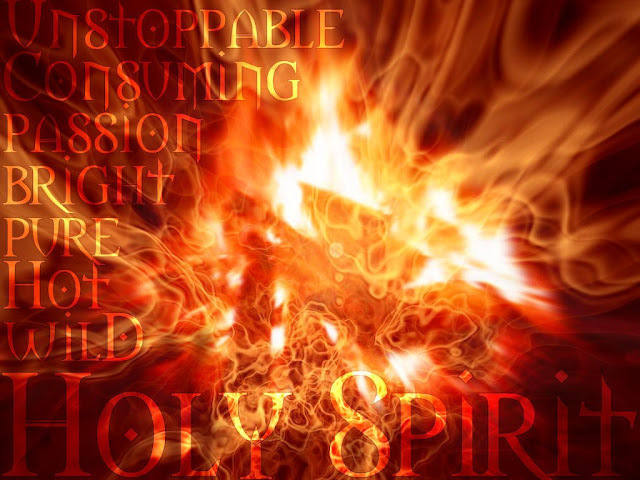 The Holy Spirit is given to us not only for healing but to do battle with the side of darkness in Spiritual warfare...which includes healing the sick, driving out demons...and EVERYTHING that Jesus did and, according to Christ's own word, even more than He did! (whatever that means) There's a wake-up call for every Christian - being a follower of Christ isn't all love and roses! We are in a battle every day, whether you choose to take part or not! I feel for those that choose not...you're missing out on one of the greatest Christian experiences there is. I feel for those that won't step out in faith and pray WITH THE POWER OF JESUS for the healing of a loved one. I'd like to hear how any Christian thinks it is possible to heal the sick or drive out demons without the Power of the Holy Spirit working through us. We all, every single one of us who dare to call ourselves Christians, need the absolute Power of the Holy Spirit at work in our lives. Step out by faith, ask earnestly and, as it is Promised in Acts 1:8, you shall receive power!